That mysterious The World Ends With You countdown may be for an iOS port. Cue tears. 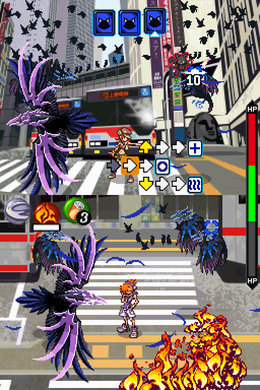 Square Enix may have ruined the surprise lurking behind the The World Ends With You countdown discovered last week. According to an official listing for an updated version of the game's soundtrack, the highly acclaimed DS JRPG will be appearing on iOS this year. References to the port were removed shortly after media outlets picked up on it. The TWENY countdown is set to reach zero this weekend. While an iOS port of the game is certainly welcome, fans desperately hoping for a sequel may want to schedule some time for uncontrollable weeping if that's all there is to it. This is the second time in recent weeks that Square Enix's dodgy site management has left the company looking silly. Earlier this month, the company managed to accidentally launch the PC re-release of Final Fantasy VII way ahead of schedule, leaving early purchasers with non-working copies of the game. Ah, well. At least it's not the end of the world.